Bus Route 311 - Victoria St near Liverpool St.
Hope to see you all soon and welcome to the Buffalo Dining Club™. Amazing food, fantastic customer service and such a friendly and welcoming team of people running the place! Would recommend and would definitely go back! Thanks for making our Good Friday one to remember. This restaurant has become our favourite date night place. The food is insane, wine is incredible - don't miss out on this great spot. The food was outstanding but the service was not great. Paying the bill was not easy and they put more money on our bill than what we actually ordered. Came of course for the cacio e pepe - lived up to the hype! But everything was delicious. Been here about 10 times before. This time in particular was extremely loud in comparison. We kindly asked the server if she could turn the music down but she had to check with the manager? Unfortunately this meant nothing happened. That was a shame as there was only us 2 and maybe 2 other couples dining at the time. The service was a bit average and everything seemed just a tiny bit too difficult for her but she wasn't overtly rude. The food here is always amazing and the service is usually always spot on it's just this one instance which was an outlier. Amazing food, outstanding wine, world class service as always! Great food, but even more noteworthy was the fantastic service. Our waiter was really friendly and engaging. An almost customised experience. The Buffalo Club is lots of fun. the food is delicious and the staff are attentive. It's pretty loud though so not suitable for every occasion. Amazing food and even better service! Must try the chilli sauce and a little of everything off the menu. I took the cheese platter with 2 sides and when the waiter realised one of my sides was the wrong one, he bought me the correct one in a spare plate at no extra cost, apologising a lot. The food was really great, one of the best I tried in Sydney. I definitely recommend it. Awesome. I wouldn't change a thing about a night out here. The service is incredible, food amazing and great atmosphere. I'll be going back as soon as possible. The food is great and reasonably priced. I came with an idea that I can actually eat my pasta in the mozzarella roll. Call me a trashy tourist, but I was disappointed I did not get to enjoy a more cheesy experience. Yet excluding this wrong assumption both pastas we ordered were excellent. Amazing food! 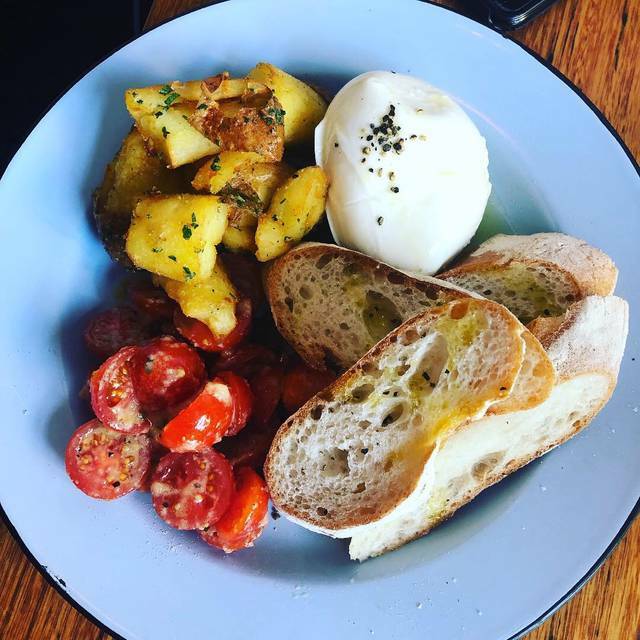 You must try the buffalo mozzarella as a starter. 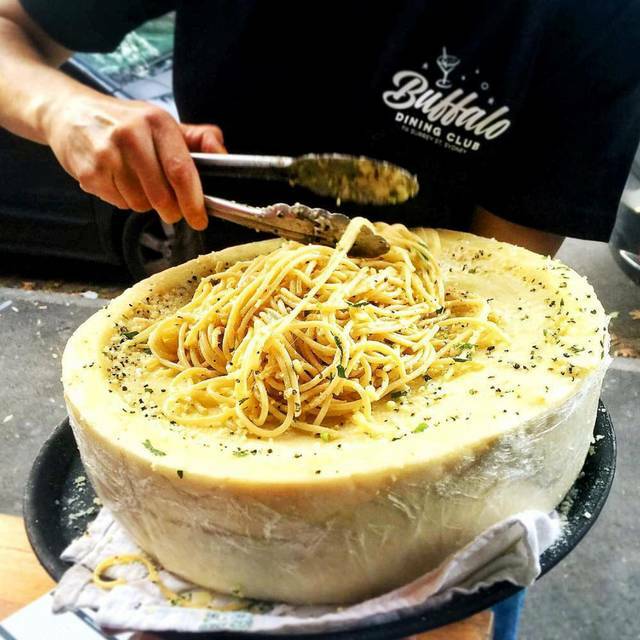 The main meal of pasta served in a giant cheese wheel was absolutely incredible. Great service, although a little bit squishy in the seating. This is still far away one of Sydney's best little restaurants. Food is amazing, the staff are legends and the crowd is a vibe. Actually have been twice this week. Amazing — great place for an authentic Italian charcuterie/pasta experience! Would highly recommend for a reasonably priced anniversary dinner or celebration. I loved the service and they were very accomodating for surprising my bf with a present I gave them. They also gave us a free cake as a surprise. We had the banquet menu which had a bit of everything. Each serving size was generous particularly the cheese and meat tasting plates. Pasta was cooked to perfection. When we finished we asked if we could get sneaky seconds they happily obliged! Loved the food, service and ambience. We sat upstairs, sometimes combined with the music and the chatter from downstairs the noise can make it a little difficult to hear each other. Other than that definitely one of our favourite restaurants. The Buffalo Mozzarella with olives and beetroot salad was too die for. I could not fault this dish. However, I was a little disappointed with the spaghetti, Very salty. Too salty I couldn't finish my bowl of pasta. fantastic food. incredible flavour, super tasty and fresh. loved it. if i could say anything that wasn't positive, but neautral.. the seating (stools) were a tad uncomfortable, because I'm qute tall. Great experience though, I will be returning for sure! 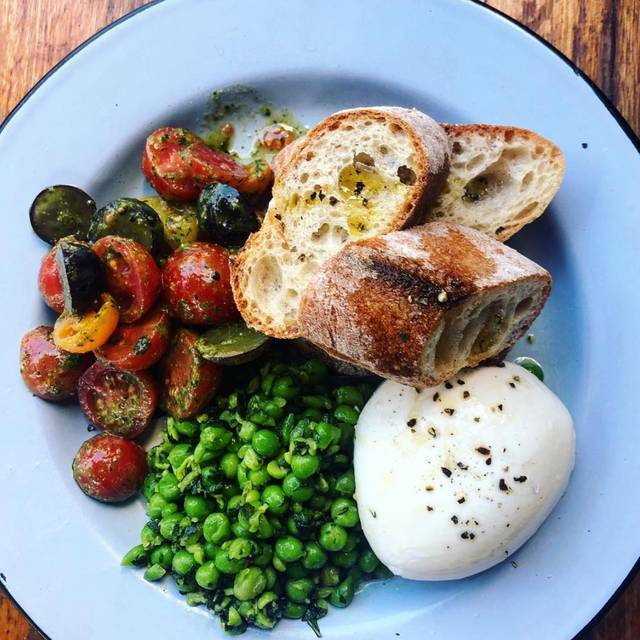 Cacio é pepe and burrata are a must try. Great food, wine and service. With that in mind it's hard to go wrong here. Authentic great Italian food in a not pretentious environment, simple easy and genuine. To try! The food and wine was authentic and delicious Italian style. The staff were very helpful with questions regarding the menu and wine list. The venue is compact and comfortable with a long table for groups and little intimate tables for couples. Loved my Tuesday night catch up with a friend! Great ambience, excellent service and stellar food! Top notch spot. 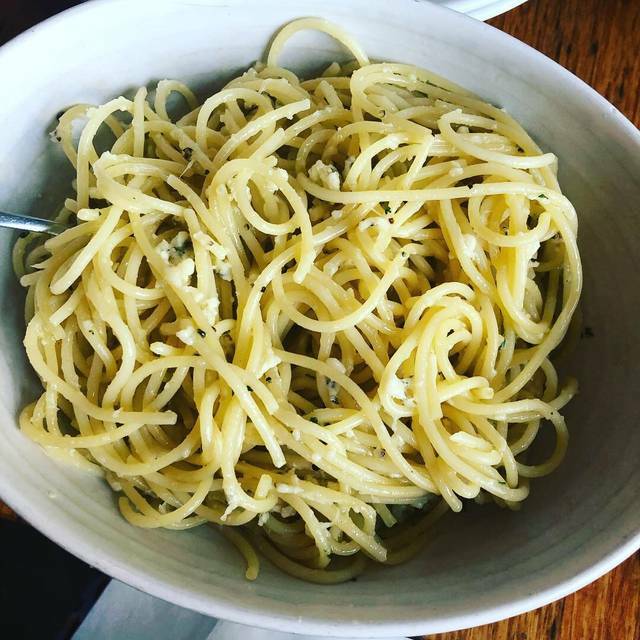 Cacio e Pepe. We were so looking forward to it but it was disappointing. Literally just spaghetti and cheese + garlic. Cacio should be creamy when the sauce is made from boiled water from spaghetti. Not sure if this seen any water as it was pretty dry and not creamy at all. Other than that, the atmosphere is very nice, great music and the wine list is great. Be careful using/giving Buffalo Gift Certificates as they do not offer any form of supplementary certificate if you do not use the full value of the certificate in a single sitting. Given that they have a small menu with modest prices getting up to a full gift certificate value. In our case we were presented with a $200 gift voucher and my wife and I enjoyed a birthday dinner. After 2 entrees and two pasta dishes, a rocket salad and 4 glasses of Proseco we were full. The bill came to $149. So our options were leave a $50 tip, take a couple of dishes home or stay and have a couple of desserts and glasses of wine. We took the latter option which spoilt the occasion for us! We were happy to separately tip the staff who were terrific! I took my friend here for her birthday and we both loved it! 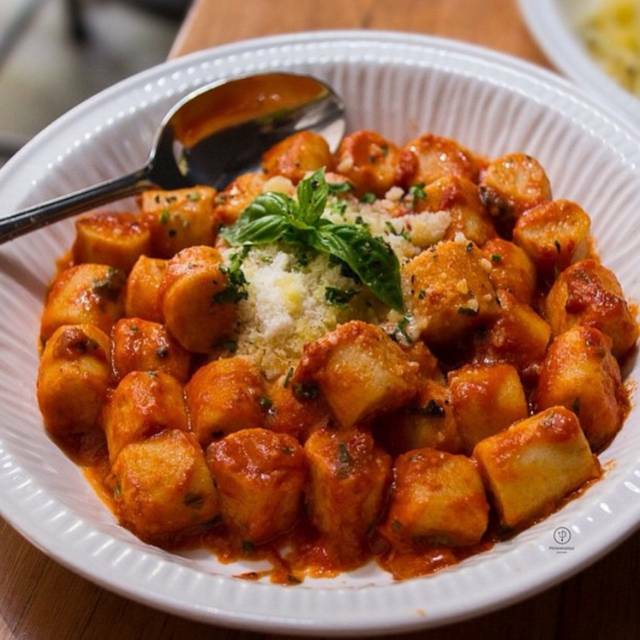 Their cheese wheel spaghetti is iconic and the gnocchi is delicious. A very small place with a great atmosphere and lovely staff. Also, quickest service and food delivery ever!! It was my first experience at Buffalo dining club and it was absolutely amazing. I couldn’t fault the venue at all. The place is so cosy and the staff were warm welcoming. Our waitress Laura was nothing but helpful and completely professional in every manner. The wine was also delicious and my mouth is watering just thinking of the pasta. I’ll be back there for sure! Enjoyed the experience..... was a lunch so less vibes than night time. Def worth having the Cache e Pepe. Good location, great atmosphere, fantastic food. Very fun and unique. Great service for Sydney. Waits are not long, water is often refilled, the food serving sizes are appropriate, prices are appropriate. Cheese wheel experience is wonderful and unique, worth trying it.